Remember how John Yap was forced to resign from cabinet during the Quick Wins scandal? We found out that Multiculturalism Minister Yap had actively communicated via non-government email systems so that he could avoid being the target of a Freedom of Information request. That, according to Information Commissioner Elizabeth Denham, is a no-no. The RCMP and a special prosecutor are both investigating the Quick Wins scandal. 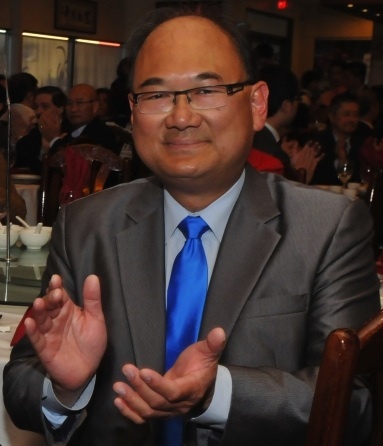 But that didn’t stop Yap from fulfilling his duty as Parliamentary Secretary to Attorney General Suzanne Anton. Yap’s sole responsibility is to conduct the B.C. Liquor Policy Review, which ended Nov. 1. He’ll report to Anton by Nov. 25. The exercise included a website that accepted comments and posted photographs and submissions of Yap’s meetings with lobby groups. There were more than 76,000 visits to the website since Sept. 14 (less than 1,600 a day), 4,300 comments, 3,500 private emails and 65 stakeholder meetings, the government tells us. The news release doesn’t include the numeral zero. That represents the amount of information that will be released about Yap’s day-to-day activities. Because Yap is not a full-fledged cabinet minister, he is shielded from the FOI law. That is what the government told me when it sent me the letter below in response to my FOI request for a copy of his daily calendar. Might the appointment of Yap by Premier Christy Clark to handle this task have been nothing more than a trick by the ruling BC Liberals to avoid public disclosure of what’s really going on behind the scenes? If Anton had delegated the responsibility for conducting the review to a deputy minister or assistant deputy minister, then that person’s activities would have been within the scope of the law. We would be able to get their calendars, emails and expense records. Because Yap is not a member of cabinet, we only know what he — and the government — wants us to know. And what was that liquor policy review really about? The Liberals may change where and when you might be able to buy and drink beer, wine and spirits. But I looked a little deeper. Expect the ruling party to revisit how liquor is stored and moved in B.C. That may be where the big changes really come. Away from the public eye. Read my story in The Tyee where I wonder: Is another attempt at privatization of the Liquor Distribution Branch’s warehousing and hauling the real endgame of the liquor review? On the last day of the liquor policy review, Yap took a tour of ContainerWorld, the province’s biggest liquor warehouse. Founder Dennis Chrismas is a donor to the BC Liberals, including ex-liquor minister Rich Coleman. The company has a pre-distribution agreement with LDB, was shortlisted for the 2012 privatization and has an interesting connection with a division of Deutsche Post DHL, which owns Exel Logistics. Read about the ContainerWorld connection here. Exel was the company that hired Liberal lobbyists because it wanted to privatize the LDB’s warehousing and distribution. Exel’s strategy included using its relationship with then-Liquor Minister Rich Coleman to influence the writing of the request for proposals in its favour and it also pondered hostile and friendly takeovers of ContainerWorld. Read about Exel here. Good report here, but not really any surprise is it. I wanted to remind everyone there is also a connection with Exel Logistics and the company that has been hired to find the site for the new LDB warehouse Sedlak Management Consultants Inc as you pointed out in your Tyee article from September 13, 2013. I spoke to Shane Simpson today at the NDP Convention and was told the Liberals are looking to get more money from liquor and that is what is driving all this yet again. Thank you for keeping us up to date with this file!